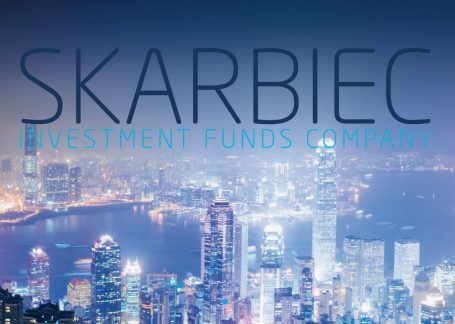 Polish Enterprise Fund V (PEF V), a private equity fund managed by Enterprise Investors, has partially exited Skarbiec Holding (Skarbiec) through a secondary transaction on the Warsaw Stock Exchange (WSE). PEF V sold 31% of Skarbiec and retained a 44% stake in the company. The Skarbiec group is one of Poland’s leading independent asset managers. It manages 59 funds and sub-funds and has close to EUR 3.6 billion of assets under management (AuM), which makes it the fifth largest Polish fund manager. The company offers a diversified range of products – equity, mixed, bonds, money market, and dedicated funds – that give investors exposure to both domestic and international markets. PEF V invested in Skarbiec in 2007. Since the investment Skarbiec has significantly improved its performance by expanding the distribution network, generating a fivefold increase in AuM and further strengthening its position on the dynamically growing market. The company was listed on the WSE through an IPO in November 2014.